Technical indicator is widely used to generate trading signals by practitioners to make trading decisions. The usual rule is to trade with the trend. In this case, the trader initiates a position early in the trend and maintains that position as long as the trend continues. The structure of this paper is given as follows. Section 2 defines the trading rule (or strategy). 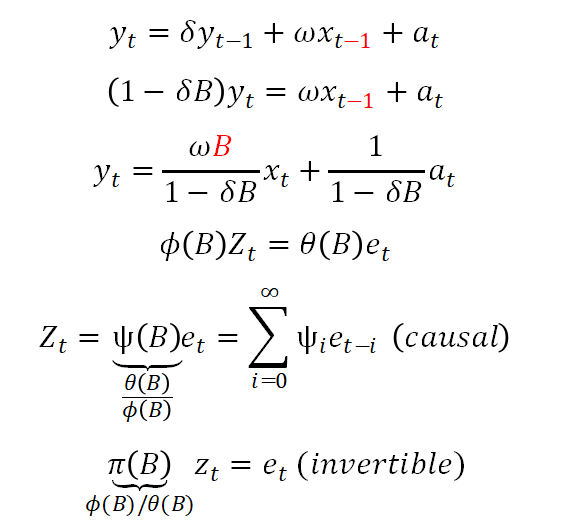 In Section 3 and 4, we formulate the trading return based on a given trading rule and state the corresponding statistical properties, respectively. The questions for you to answer are listed in Section 5. Finally, references and appendix are given in Section 6 and 7, respectively. 1 The simplest rule of this family is the single moving average which says when the rate penetrates from below (above) a moving average of a given length, a buy (sell) signal is generated. 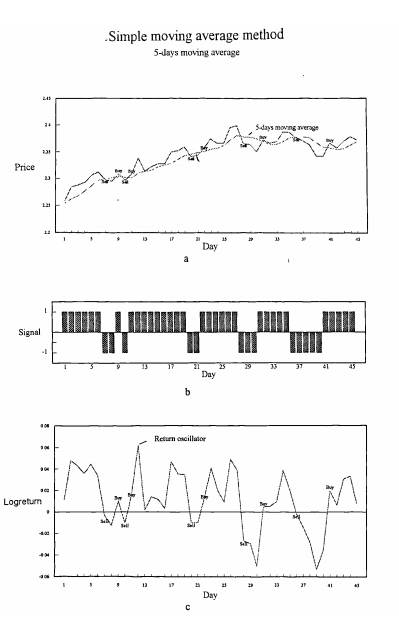 The above predictor is then converted to buy and sell trading signals Bt: buy (+1) and sell (-1) using, i.e. Note that the signal of a trading rule is completely defined by one of the inequalities giving a sell or buy order (if the position is not short, it is long). The Figure below illustrates the dynamics of the above 5-periods moving average method— when the rate penetrates from below (above) the moving average of order five, a buy (sell) signal is generated. where are defined by a given trading rule (See Appendix for more details). For this assignment, we assume = 0.
where denote the logarithm return over this period (assume no dividend payout during period t). Remark: Rt is unconditional and unrealized returns. By unrealized we mean that rule returns are recorded every day even if the position is neither closed nor reversed, but simply carries on. 2 Intuitively, the longer holding period, the larger the expected return on a trading rule. 1. 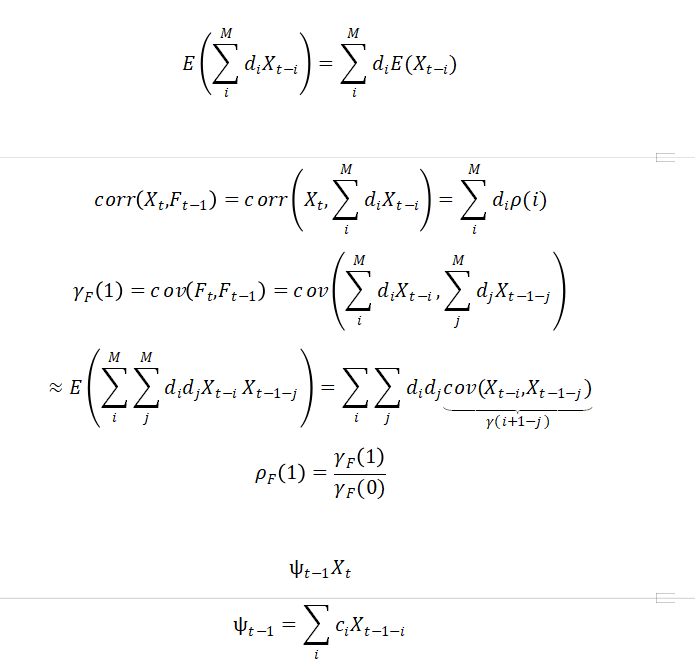 Derive the variance of the predictor Bt given in Equation (1). 2. Derive the expectation of the predictor Bt. trading rule (See Appendix) and the expected length of the holding period. Hint: Given asset price time series and a pair of integers, m and r (function arguments), your function calculates the expected rule return ) and the expected length of holding periods H.
Hint: adjusted Close and R quantmod library. 6. 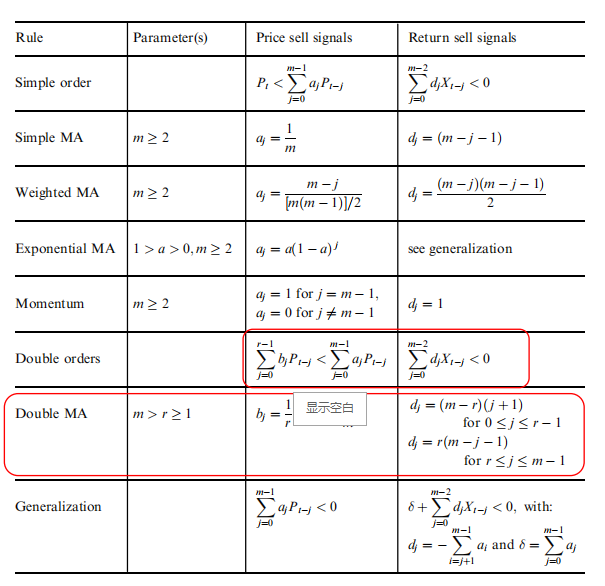 Write a R function to choose the optimal daily and weekly double MA trading rules (that maximize the expected rule returns) for S&P500 index. Hint: Find the m and r pair that has the highest E(Rt). For simplicity, let the maximum values of m be 250 and 52 for daily and weekly data, respectively. holding time) of your choice and compare them with your theoretical results. Hint: Use the ratio of the cumulative return over the number of trading periods as the estimate E(Rt). 8. (Optional) Run and back-test your daily trading rule using six months of rolling window. Show the empirical trading statistics and show the difference between the theoretical results. 2. Acar E. (200? ), “Advanced trading rule”, Second edition. (Chapter 4. Expected returns of directional forecasters). 3. Kedem (1986), “Spectral analysis and discrimination by zero-crossings”, Proceedings of IEEE, Vol 74, No. 11, page 1477-1493.